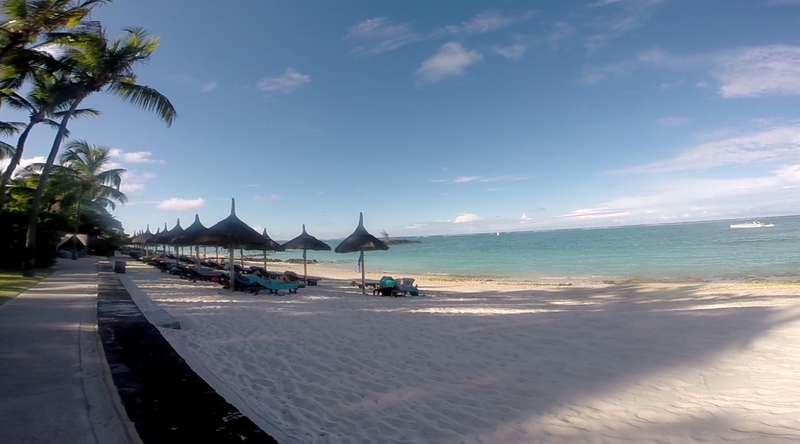 My stay at Constance Belle Mare Plage, Mauritius was hosted by the hotel. I did, however, carefully choose the property based on all of the possible options in the country. I selected them because of their excellent TripAdvisor rating, their star rating, their combination of family-friendly with luxury, and their beach. 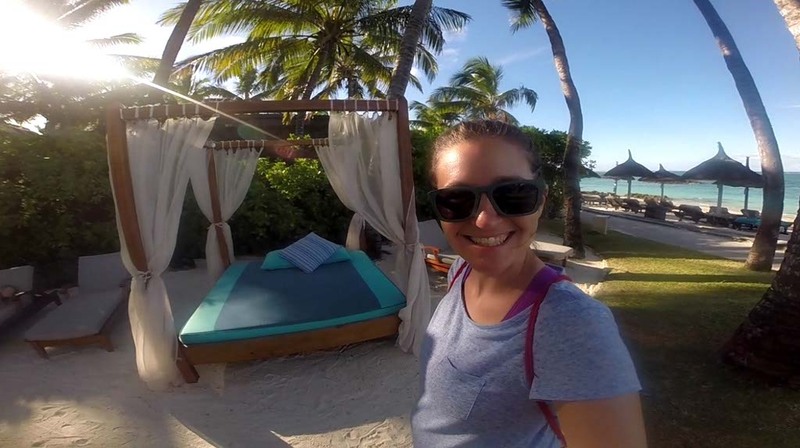 I spend as much time in hotels as in my own bed so my standards and expectations are high and Belle Mare Plage rose to the challenge. There are very few things that didn’t exceed my expectations. 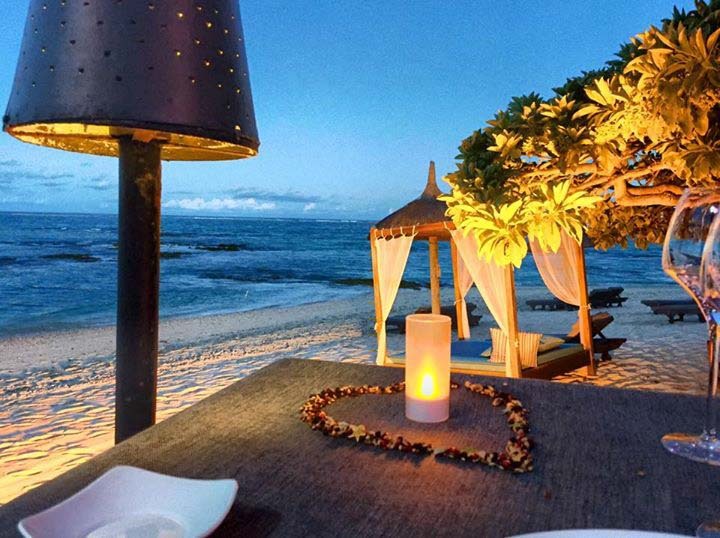 Both Belle Mare Plage and Mauritius are worth the long flight times. TripAdvisor provides real reviews from real people. It’s like a combination of blogs for the specific hotel or area you are researching. I often turn to the site as a starting place for selecting accommodations. 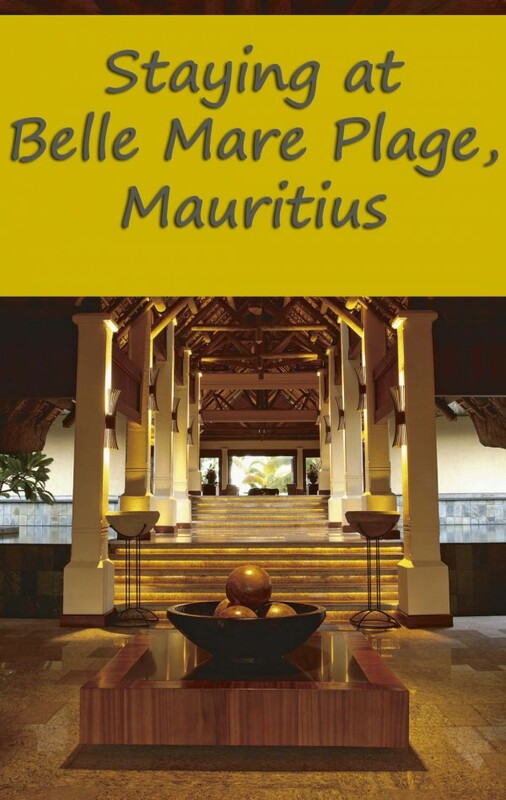 Belle Mare Plage received 1,196 excellent ratings out of 1,537 total reviews. That’s pretty fantastic. Most terrible reviews (there were only 13) were from years ago and no longer valid. 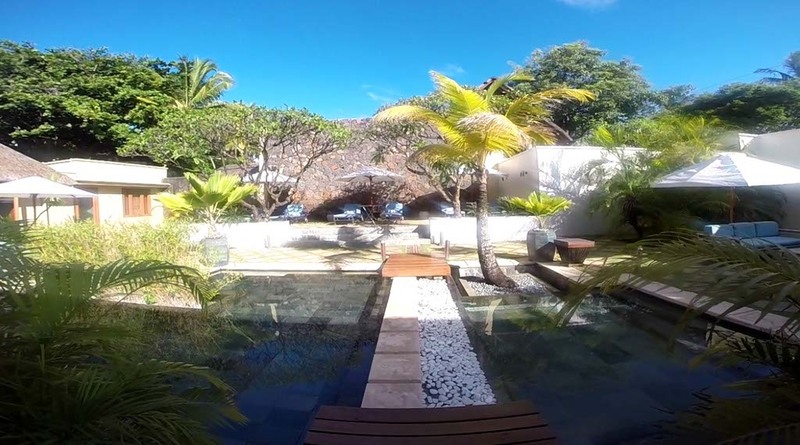 Overall, they are rated number 3 of 13 hotels in Belle Mare. 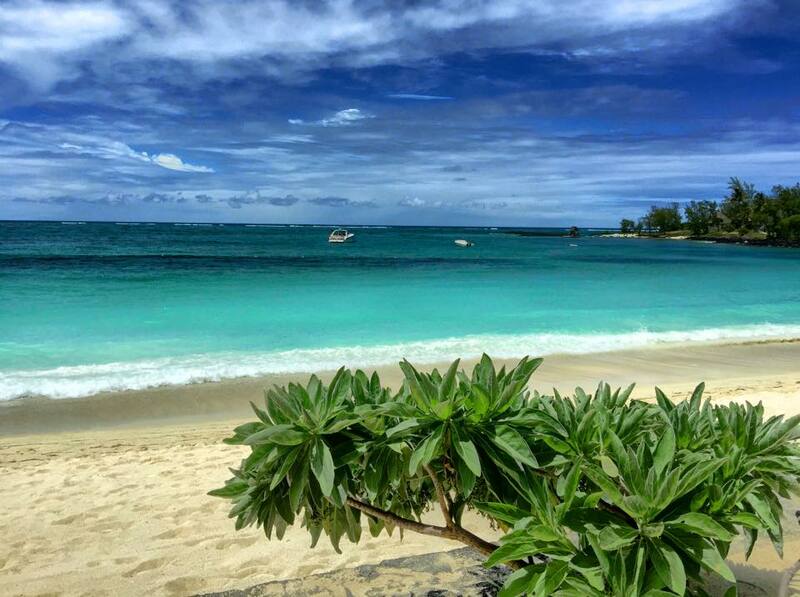 Traveling to Mauritius from the US is a huge commitment. The flights are long and there are usually layovers, especially on the way to Mauritius. Since I was traveling all that way, I wanted my experience to be top-notch. Choosing a five star hotel would provide a better guarantee of that happening. With 92 Prestige Rooms, 96 Junior Suites, 6 Deluxe Suites, 20 distinctive Villas and a Presidential Villa, a large spa, free water sports, a Kids Club, a stunning 2km white sand beach, seven distinctive restaurants and five bars, two golf courses, and a fitness center, Belle Mare Plage is the perfect combination of family-friendly and luxury. Our Junior Suite Sea Facing was overlooking the sea and one of the pools. It was only a short walk or mini shuttle ride to all restaurants and it was directly in front of the fitness center and spa. Whether you’re interested in relaxing experiences like getting a massage or family activities like splashing in the pool, the Junior Suite Sea Facing is a great option. 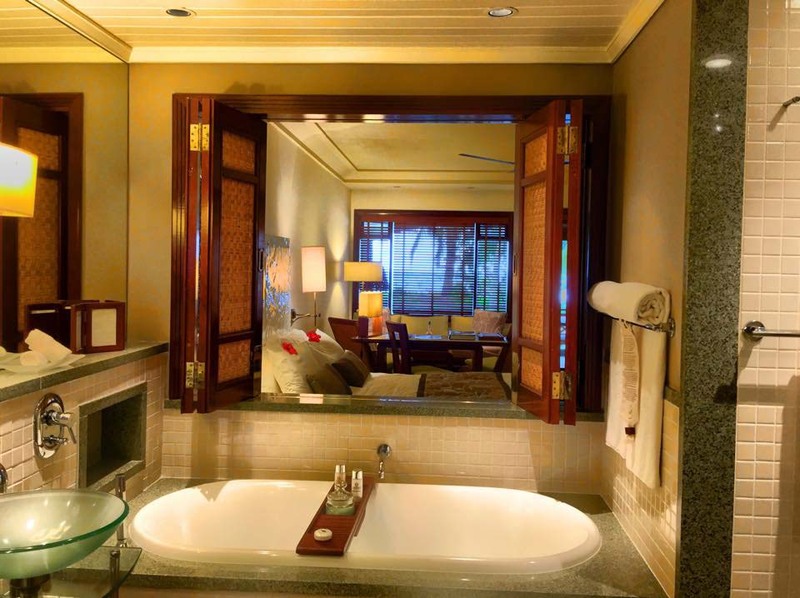 The Deluxe Suite Sea Facing comes with a separate living room, which is worth the upgrade if you have young children that go to sleep early and all Villas come with their own private pool. One thing I didn’t realize when I booked the hotel was the high number of free water sports included with my package. Water skiing, wakeboarding, glass bottom boat tours, laser boats, wind surfing, sea kayaks, snorkeling, and Hobby cats are all free activities. It’s a reminder that I need to come back with Darren so I can fully participate. The spa and golf courses, while not free, are relaxing ways to refresh and rejuvenate. I had a Signature U Spa Body Treatment that was my favorite spa experience yet. I treated my skin to a total experience with a body scrub customized to my skin type followed by a nurturing wrap to completely re-hydrate and restore my skin. After a month in Antarctica, I needed a pick-me-up. It was a return to happiness for my body and mind. The Kids Club offers a new adventure daily for children and a rest for parents. They have a swimming pool, outdoor space, a game room, computer stations, an imagination space for the 4-6 years with playhouses, kitchenettes, tool workshops, and even some 4-wheel transportation rides, open play areas, arts and crafts, theme days, and child-friendly washrooms. The only down-side to the Kids Club is that it’s for ages 4- 11 years old. It would be encouraging if I could go for a spa experience or practicing my wind surfing for an hour without paying for a baby sitter for Athena. There is a baby sitting service available 24 hours a day but at such a child-friendly hotel, I was disappointed that the Kids Club wasn’t for toddlers. The seven restaurant choices offer everything from Mediterranean and French to buffet and local cuisine. My favorite options were La Spiaggia and Blue Penny Cafe, but Athena was most happy at La Citronnelle’s buffet. I loved the atmosphere and surroundings at La Spiaggia. Situated directly on the beach with my favorite servers, I could have eaten at La Spiaggia every night of the week… except for one. I needed to save one night for Blue Penny Cafe. Fine dining and delicious wines can be found at Blue Penny Cafe. Happy with the basics, Athena loved La Citronnelle. If you have picky eaters, it’s a good choice with lots of options. I saved the beach for last because it’s highly important to me. If a hotel doesn’t have great beach access, I’d prefer to choose some place else. Belle Mare Plage’s beach stretches 2km and is filled with powdery, white sand. The water is clean and warm with the most amazing blues and gentle waves. It’s child-friendly and large enough that water sports don’t interfere with swimmers. There are crushed shells and coral in the water, though, and it can make for sore feet if you’re just wading. I’d recommend a pair of water shoes if you plan on spending a significant amount of time in the ocean. 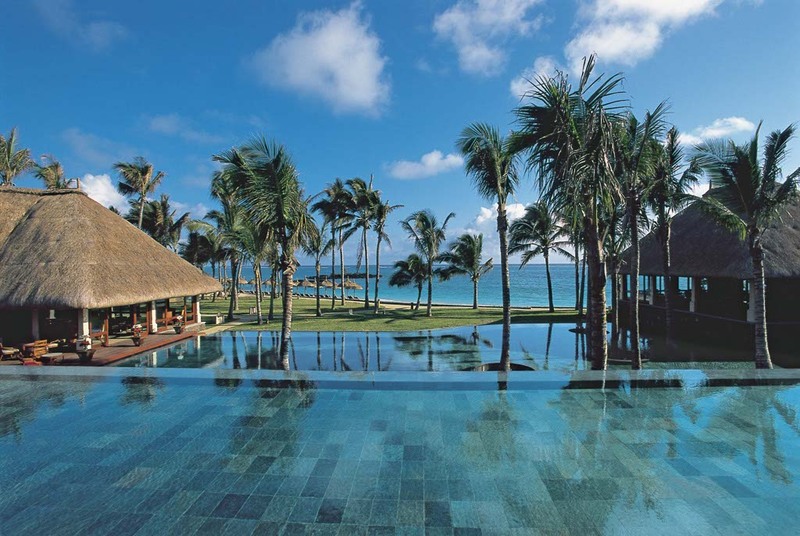 Doing my homework before choosing Constance Belle Mare Plage paid off. I seized the opportunity to try a new hotel chain and now I’m searching for other Constance resorts around the world. Their quality of service is reflective of the TripAdvisor reviews – exemplary. We’re considering Mauritius for our next trip. I didn’t even consider this hotel until now. I’m going to talk to my wife about it but it’s a definite possibility now. Thanks for the info. It was one of the best trips of my life and I was able to visit many areas of the country. If you have any questions, please email me or ask me here. I’m happy to help. Our tickets to Mauritius are booked and we are excited to read about your time there. We love hiking and trails. Will you be doing any hikes while you’re there? What are your favorite things so far? One of my favorite things there was Curious Corner and Chamarel Waterfall is just around the corner. I didn’t hike much while I was there because I was traveling alone with Athena but I’m sure you can find some great hikes in that area. Here’s a list of hikes in Mauritius and their distances – http://www.wikiloc.com/trails/hiking/mauritius. Enjoy your time on one of the most beautiful islands in the world. Looks the place to go if you want to relax and unwind. It’s such a great place for families, Sam. There is something for every age. The Kids’ Club is amazing and a great way to have a break while the kids are enjoying the company of other kids. I hope you experience it for yourself soon. Let me know if you have any questions or if there is anything I can help you with. 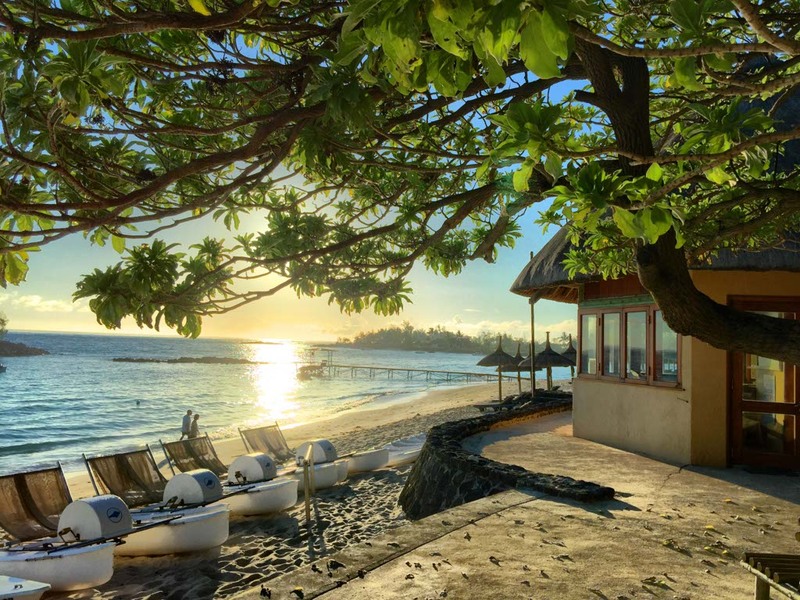 The hotel is gorgeous and it’s nice to know that Belle Mare Plage includes such a wide range of water activities for free. Interesting that they offer free water sports activities. Considering that there are well over 200 rooms/suites at the resort, do guests have to pre-book any of those water sports? Or is it just based on first come first served? You can pre-book at the Activities Center but we didn’t and never had a problem trying out a few sports. They have tons of equipment along with a daily schedule of other activities. I think there is just so much to do that it’s not a problem participating. Have you been to Mauritius? This looks ABSOLUTELY amazing! 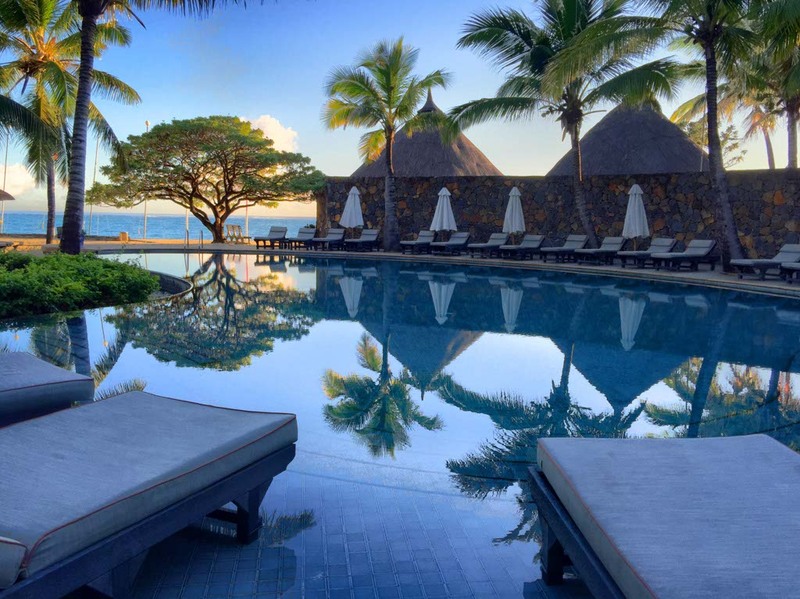 Mauritius is such a dreamy place — add the fact that you are staying in such a lux resort / hotel is surely the icing to the cake! Will definitely check it out in the future. Have you been to Mauritius before, Aileen? This was my first time but I’d love to go back. They have tons of adventures too. Next time, I’d like for my husband to come so we can try out a few of the extreme activities as well. Constance has two properties in Maldives that I want to visit. I haven’t been before but I’d like to add it to my 2016 list. Looks like a wonderful place – great beach and and I love the tub. looks like you had an amazing time. The food was delicious as well. (I think you take great food pics so I thought I’d mention that too.) The beach dining was a great experience. It would be a very romantic place for couples. Oh my goodness, where can I sign up to stay there now, it is really stunning and the beaches, wow! The hotel looks amazing and the view is jaw dropping. Would love to visit Mauritius one day. Oh my gosh. Too beautiful! I don’t know if I’ll ever be able to stay at this resort, but I loved visiting vicariously through your photos! This place is just insane. I’m so used to dirtbagging with my kids, I don’t know what I’d do with myself there. Someday maybe. Amazing shots and post…gotta get there one day!